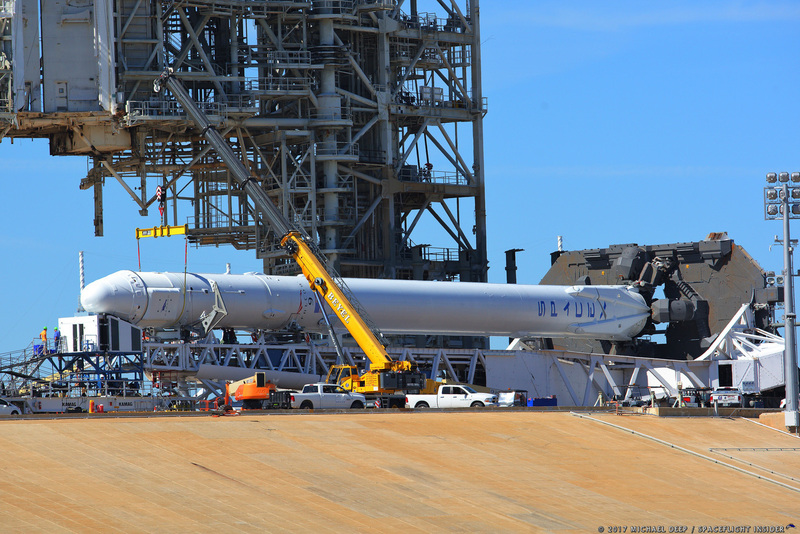 KENNEDY SPACE CENTER, Fla. — The launch of SpaceX‘s CRS-10 Dragon capsule from the historic Launch Complex 39A has been scrubbed due to an issue with Falcon 9’s upper-stage thrust vector control system. The flight was scheduled to lift off at 10:01 a.m. EST (15:01 GMT) Feb. 18, 2017. However, at 13 seconds before launch, a hold was called due to a technical issue with the upper-stage thrust vector control system. SpaceX launch teams felt they needed more time to understand the issue. Other than this technical issue, the countdown proceeded rather smoothly. The weather was expected to produce thick clouds; however, as the clock approached T-minus zero, the weather continued to clear. NASA stated that updates will be provided as they are available; Spaceflight Insider will share these additional details as soon as possible. Additionally, in a reply to a Twitter user, Musk said the system was green for launch and he was the one to call it off. It is worth noting that on the NASA TV stream, at around three minutes before launch, Musk and others were seen huddled around computer consoles, likely examining the data.